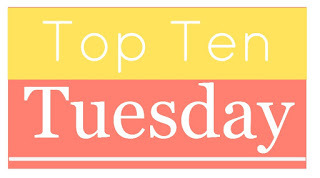 Today’s topic is an audio freebie, and while I had thought about doing a list of my favorite listens (hey, I still might!) I thought tips for readers thinking of making the leap to audiobooks might make a better topic. After all, audiobooks are becoming very popular, and the last few years saw huge growth in sales as well as a massive increase of audiobook titles being published. Over the last month, I’ve also been involved in several discussions with people about trying audiobooks, so clearly the interest is there. As someone who loves the audio format and can never pass up a chance to sing its praises, I figured I could share some of my experiences and advice to those who are still on the fence about trying audiobooks. Or maybe you’ve already tried and think that the format’s not for you, but in truth there may be some other reason preventing you from getting into audiobooks, and it is my hope that this post will help you figure it out. Listening to audiobooks doesn’t have to break the bank. Sure, there are online vendors like Audible and Downpour out there, but if you’re new to audiobooks and don’t know yet if the format will be for you, maybe you don’t want to commit to a subscription or put down too much money (though many of these sites also offer free trials). My advice, the best place to start is your local library. I personally began my audiobook journey by plundering my library’s online Overdrive collection, where I was able to download available titles for free right away, with just a click of a button. Now that I also review audiobooks on my blog, I find that many publishers with audio imprints are also happy to reach out with listening copies. Many places offering downloadable audiobooks for loan or purchase also have their own players, like Audible or Libby, Overdrive’s app for library ebooks and audiobooks. Most of these are pretty decent, but if you’re like me, you’ll want a player that fits all your needs, and luckily there are plenty of free and paid options out there. It might take a while, but over time you’ll probably identify a list of must-have features that will help you get into the format or make your listening experience as enjoyable as possible. All players come with the standard controls, but you would be surprised how many consider a lot of what I think are basic features to be “extras” (like bookmarks, FFS). Other options that are musts for me are playback speed adjustments and a sleep timer, which is why I didn’t mind paying for the full version of the audiobook player app I have in order to unlock all its functionality (the one I have is called Smart Audiobook Player for Android, and I love it). People always ask me, how do you finish an audiobook so quickly? Aren’t many of them usually like 10+ hours? Well, yes, if you listen to audiobooks on regular 1.0x speed. Honestly though? I hardly know anyone who listens to audiobooks on 1.0x speed. 1.0x just sounds way too slow for me, which makes my mind start to wander. Depending on the audiobook, I always set mine between 2.0x to 2.5x as that sounds the closest to normal “talking speed” to me, making the narration more engaging, but everyone will have their own preference – hence why playback speed adjustment is such an essential feature of any audiobook player. I personally like to tackle longer books in audio because I tend to get through them more easily that way, but someone new to the format might not want to wet their feet with a 20-hour book. Luckily, with so many titles made available in audio these days, you have lots of shorter options – short stories, novellas, and even serials! The publisher Serial Box, which specializes in stories released in episodes like a TV show, offers an audiobook version for all their titles, for example. You can also ease yourself into the format with audio dramas, which tend to clock in at moderate lengths. As a bonus, these are often performed by a full cast with music and sound effects, making them very immersive, leading to many to describe them as a movie in your mind. I do this whenever I come across a new narrator I don’t recognize, because you can often tell right away if they will be good or not. You’ll be listening to the same voice reading to you for hours, so if a sample is available, why not give it a try to make sure it’s a narrator you’ll like? This might seem intuitive, but choosing the right book to begin your audiobook journey can actually be more challenging than you think. 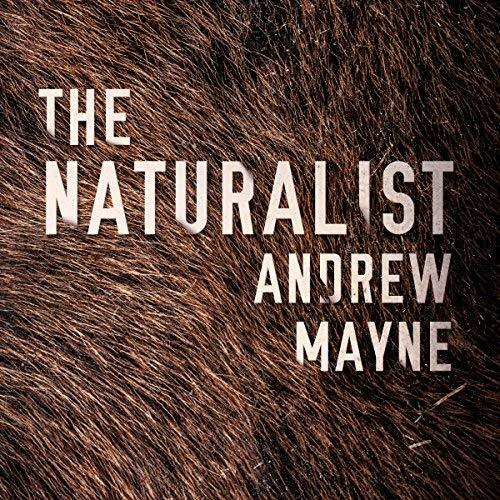 Not all great books also make great audiobooks, and sometimes vice versa. Some people also think starting with their favorite genre or something by their favorite author will be a surefire way to get them into the format, but I’ve found that that’s not always the case either. For example, I love epic fantasy, but the genre is also notorious for huge chunks of exposition or world-building descriptions that result in sections in the audiobook version where it’s easy for my attention to drift off. To readers new to audiobooks, I often recommend starting with a good thriller, if the genre is what they’re into, because those typically make for compelling and hard-to-stop listens. This is why it’s important to listen to samples. A lot of times you’ll see audiobook fans gushing about certain narrators, and that’s because we know they always deliver incredible performances no matter what book they’re narrating. A narrator can make or break a story, something I learned for myself when I first started listening to audiobooks. Believe it or not, I actually had trouble getting into the format right away, until I realized I just wasn’t choosing the right books for my earliest listens because they didn’t have the best narrators. 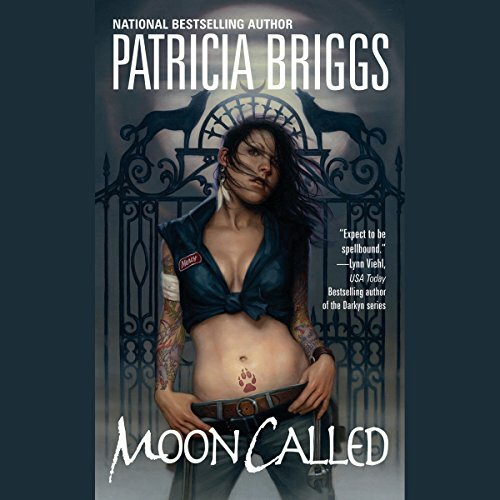 What eventually got me hooked was the Mercy Thompson series by Patricia Briggs, narrated by the very awesome, very talented Lorelei King. Paired with her voice, these were the books that helped turn me from a “Oh, I don’t think I could ever get into audibooks” person into a diehard audiophile. Here’s some great advice from my co-blogger Wendy, back when we still regularly did our Sanctum Sanctorum feature. If you’re not sure audiobooks are for you because you don’t know if you’ll have many opportunities to listen, she writes, “Consider what moments in your day might work well with a verbal soundtrack,” and I can’t agree more! A lot of people end up turning to audiobooks because they find they are too busy or their minds are too tired after a long day to concentrate on reading, but they’re also popular with multi-taskers. I for one love being able to make some progress on my ever-expanding TBR while working on something else, whether it be chores like vacuuming or hobbies like crocheting. You’d be surprised how many opportunities you can find. For me, any kind of activity that requires my hands but not a lot of brain power is prime time for audiobook listening! A lot of things are better when enjoyed with another person, and if you find you’re struggling to get into audiobooks, maybe try listening to one with a friend, your spouse, or your children. A friend of mine has “story time” at her house where the whole family will chill in the living room while their Amazon Echo plays an audiobook. My husband and I often listen to audiobooks together on road trips, and I find I’m less likely to zone out on the story when I know I’m sharing the experience with someone else. I just love speculating on a book’s plot with him, or laughing at the funny scenes together. If your first listen doesn’t work out, don’t be afraid to abandon it because things rarely get better when you’re forcing yourself. Some stories just don’t work as well in audio and that’s okay. Or maybe you just struck out with a terrible narrator. But if you really want to give this audiobook thing a fair shot, try again! Like I said, my first few tries with audiobooks were disasters. As a newcomer to the format, it was just plain difficult to go from reading physical books to an auditory experience. I had to keep going back in my audiobook multiple times because my attention kept drifting off and I would get lost. I told myself audiobooks weren’t for me because I just can’t seem to concentrate long enough to finish a book. Over time though, I ended up learning what worked for me and what didn’t. There were plenty of tweaks to my routine, as well as experimenting with things like playback speed. I tried a ton of different genres and and narrators. And now, audiobooks have become an invaluable way for me to enjoy books. It’s how I can chew through my reading lists. Whenever I’m stuck doing a mundane task like mowing the lawn or folding the laundry, it goes so much quicker because I always have an audiobook in my ear. I simply can’t imagine life without audiobooks now! Love the tips! That’s perfect for someone who is new to it. 😊 great share. 10 steps?!?! That sounds like a lot of work. These are great since I struggle with audio. I’d probably want to play around with speed on some of them too, to get the right flow, and I’ve seen so many reviews for favorite books talking about the awesome narrators- I’m tempted to give audio another go! Speed was the key for me. As soon as I adjusted it to more normal talking speed, I found it much easier! Two years ago i wouldve told you audio books are cheating… untill the missus shared her audible account with me. Its been smooth sailing from there on out. Oh nice! These are some good tips! I have to admit though, I am just not an audiobook person. Even when I listen to music on my commute to work, I find myself spacing out a bit, especially on road trips. I hear the music and the lyrics but I’m not always listening or comprehending anything. With books I know what I’m reading because I can focus on the words on the page. I can’t do that with audiobooks. I know they work well for a lot of reads but I’m sadly not one of them! Definitely some people are more “visual” than others, so I completely understand! You don’t know how helpful this post has been for me. I do not have good luck with audiobooks and honestly, don’t know if I will ever use them that much, but this is good information. I wasn’t aware of the playback speed stuff but do know I can easily access them from my library. My issue is that the times I have that I can listen I use for listening to music – in the car, while cleaning, outside. Also, I like reading in the room with my husband while he watches TV and if I put in earbuds, he’ll really think I’m ignoring him. Great tips though. Yup, the downside of audiobooks is that it cuts into my music listening and tv watching time – but then I take one look at my huge TBR stacks, and I decide maybe I want to listen to my audiobooks after all, lol! These are great tips, and I’m definitely taking your advice when I finally take the plunge! Which player do you use, I don’t think you mentioned it? Smart Audiobook Player for Android, it’s the best! Thanks for the reminder, I forgot to add that to my post – fixed! Great tips! Coincidentally, the Mercy Thompson series was a big chunk of my listening time back when I had a commute that demanded audiobooks to survive. I found I did better with reads that were more fun and less “demanding” then say, epic high fantasy. Urban fantasy was a good place. Besides Mercy Thompson (where I listened to all 12 books that were currently out), I also started diving into THE HOLLOWS series. Audiobooks are great for multitasking, but I’ve found my listening hours have been taken over by podcasts at the moment. LOL same, I caught up to like half a dozen Mercy Thompson books at the time, or whatever was available then. Lorelei King is such a great reader, I wish she did more! And yes, for me I find thrillers and urban fantasy are the two best genres for audiobooks – the narrators are usually very enthusiastic (because of feisty protags) and the stories are usually fast-paced. I have to buy the smart one, I am trying the free for a month version and finally one that fit me! I love that one! For a while I used the Smart Audiobook Player free version as well, but within a week bought the full version. I don’t regret it one bit! Great advice, I’m not the biggest fan of audiobooks because they make me sleepy EXTREMELY fast. I actually listen to stories if I’m having trouble sleeping, it always work (when I’m tired, I can fall asleep in less than 2 minutes with an audiobook haha). Because of that, I only listen to short stories or novellas and very, very rarely to novels. Some great advice their Mogsy. 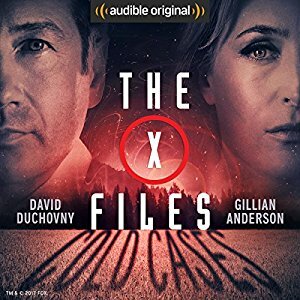 I’m fairly new to audiobooks and have finally found my footing in it. I agree that thrillers are great to start with, though I didn’t realize that until weekend before last, when I sped through 2 audiobooks in about 3 days. I listened to the Alienist and Red Dragon and OMG, could not stop listening. It certainly takes some experimenting and I’m glad I stuck with the format. It won’t be a favorite but I do enjoy it. I didn’t know there are different players. I thought I had to stick with the player of whatever place I got the audiobook from. Oh man, I’ve heard of the Alienist and Red Dragon, and even though I haven’t read them, I can just imagine how good they are in audio! Those kinds of stories just seem to be made for the format, whenever I listen to thrillers I am always hanging on the narrator’s every word! Great tips – and I agree about the speed. No way I could listen on 1 – it sounds so drawn out and let’s face it you wouldn’t read at that speed. I want it set to the pace I would read at. I’m still a newbie and I think my biggest issues are – not reviewing the books because (1) they’re mind instead of review copies and (2)) just forgetting. So walking the dog but forgetting to listen for example. You’re welcome, I hope some of these tips will help you out! I’ve often heard from non-native English speakers that audio can be a challenge which is why I’m glad audio publishers are now also putting out a lot of their books in different languages. Audible, for example, has been churning out lots of titles in a lot of different languages lately, though I haven’t been able to take a closer look, but it might be worth checking out.